Got out about over the Easter long weekend, we went for a country drive, looking for a good sunset location. 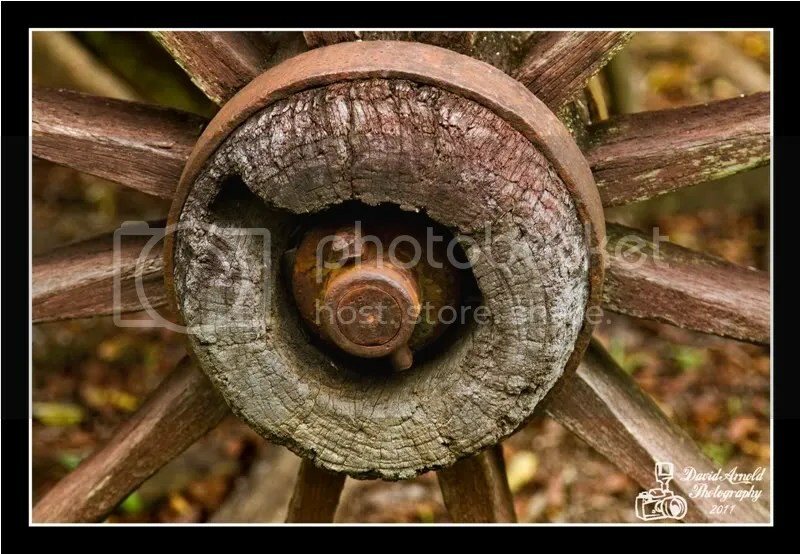 While driving around, took an opportunity to get some country photos, and what is more country then a old wagon, due to surrounding trees, buildings etc., could not get a good “framed” shot of the whole wagon, so focused on the hub of a wheel and below is the result. Canon 7D, 24-105mm lens@ 99mm, 1/60, F4, shot in raw, processed in lightroom. I have not updated or even looked at my blog for a long time. A Easter Resolution (really a late New Years Resolution) is to change the style of my blogging, instead of just posting random photos, will start to document my photography travels and camera/lens/settings I use. 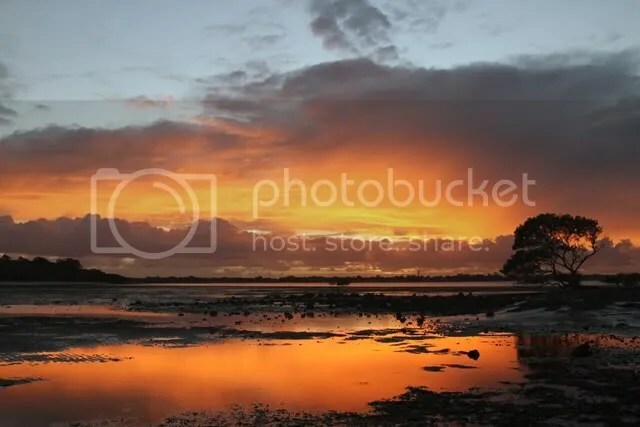 Now some random photos, below is the processed Image from a raw file through Lightroom, with border and watermark added in CS4. 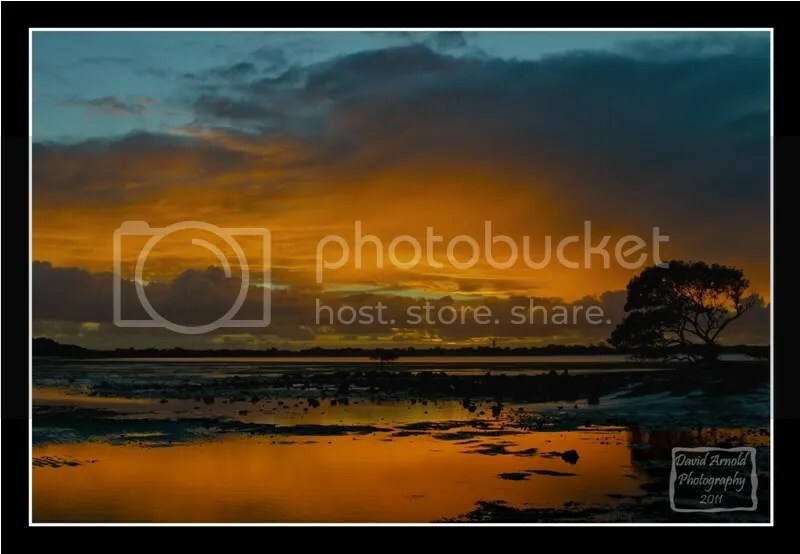 This photo was taken as Sandstone Point, which is just before you go over the bridge to Bribie Island in Queensland Australia, close to where I am staying this week. Taken at 24mm, F4, 1/125, WB set on cloudy. This is the original unmodified Jpeg straight from the camera. Photography, is about timing, being in the right place at the right time. I was up early and saw there was light between the clouds, so grabbed the camera, jumped in the car was off, a bit ealier and I would have captured the beautiful pre dawn light, was blessed with this glorious sunrise anyway. The capture involved, an approximate 100 metre walk through mud ( love my waterproof boots) to get in the spot I wanted for the photo, no tripod this time, hand held, why I chose F4 and moderately quick shutter speed…. I think I could have improved on the photo with a tripod and a ND filter, and slower shutter speed to smooth out the water, but you use what oyu have with you . 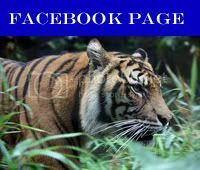 I will try and make regular updates, with more content from now on, so subscribe to the blog to get email alerts. Happy travelling and photography, stay safe.